Master Feng Zhiqiang is the vice president of the Beijing Municipal Martial Arts Association, president of Beijing Municipal Chen-style Taiji-quan Research Institute and head of Huaxia Master Arts Club with the FESCO International Teaching Centre. Master Feng has been wellknow chen-style Taijiquan master and a favorite student of Chen Fake, the 17th successor of Chen-style Taijiquan. Through years of learning he had a good command of the essence of Taijiquan. 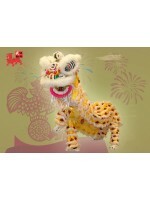 Good at Taijiquan free hand and pushing hand, he enjoys a high fame in the martial arts circles at home and abroad. 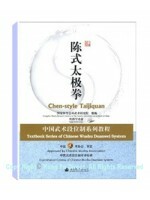 The VCD of the second set of Chen-Style Taijiquan introduces mainly ways to the mastery of the second set, the teaching explanation for each posture, the exemplay performance of the second set by Master Feng himself as well as some explanations for defence to the broad masses of martial arts lovers. The VCD is a rare guidance material in the second set theory, the set exercise for self-defence and health care.